Between university and making music for games, I’ve been mostly researching Alan Wake’s various iterations and the history behind the development because, well, I have nothing better to do I suppose. The various (and I use this term very generously) publications and news articles, trailers, accounts of development post-launch and even leftovers in the game files paint a very interesting picture of the development process for the game. This is a post I’ve been meaning to do for a while now, I have many text files on my desktop as notes for the TCRF article, as well as some sort of blogpost/editorial type of thing as a more detailed account of the game’s progression from conception to announcement to release, from the perspective of an outsider, as well as the changes happening behind closed doors. Again, mostly because I have nothing better to do. Since this text is mostly built from various notes I’ve written, it might seem a bit scatterbrained, so apologies for that in advance. Also the formatting is a bit poor. I originally wrote this text in Word, but the formatting capabilities of vBulletin are much more primitive. 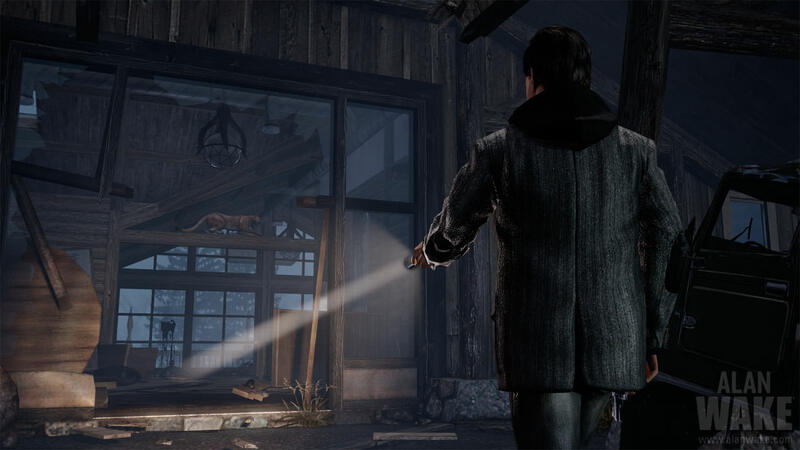 Alan Wake began development in late 2003, according to the Illuminated book. These are the early days, something we don’t have much info of outside the Illuminated book, so I don’t really have much to say about it. Alan Wake wasn’t initially conceptualized as Alan Wake, but as some sort of fantasy game, themed heavily around nature. Alan Wake was initially announced in 2005, shortly before E3. Alan Wake is mentioned for the first time on Remedy’s website on April 24th, 2005. The very first capture of the alanwake.com site is from May 7th 2005, and includes a download for the short teaser. The game had a demo, that was shown behind closed doors at E3, and was mostly meant to capture publisher interest. The demo once had a video of it, which is now seemingly lost to the sands of time. Only some extremely blurry caps of the video exist in the internet limbo. Following the successful demonstration at E3, Remedy managed to catch the interest of Microsoft, who promised to publish Alan Wake as an exclusive to the – at the time – brand new Xbox 360, as well as Windows. Remedy fell into radio silence for over a year. E3 2006 saw a small teaser trailer, but information on the game was still scarce. This however ended, when X06 rolled around. Continuing the secrecy, Remedy again had a demo that was only shown to press, behind closed doors. This time around however, Remedy had an actual story mission to show. The demo opened with a short tech showcase, quite possibly the same one shown at IDF 2006 a few months earlier. This short section showcased the Alan Wake engine, MAX-FX 3.0, and it’s capabilities well. It wasn’t the bulk of the X06 demo, however. After the tech demo wrapped up, Remedy moved on to show a small vertical slice of the game in form of an early story mission. The mission opens up with Alan driving to a small gas station owned by Ben Mott, to get the keys to his cabin. Alan scares Mott, who then strikes a conversation before handing Alan the keys. When Alan is about to leave, Mott ends the conversation with an eerie quote: “It must be tough, knowing that your words will change things.” At the time, it was an effective way to end the scene, and also throw hints at how the story was assembling behind the scenes, more about that later. After getting they keys, Alan takes off in his car towards his newly-acquired cabin on the shore of Cauldron Lake. During the drive, Alan’s inner monologue explains some aspects of the story to the viewers. What this was, we’ll likely never know. Soon Alan finds a hitchhiker on the side of the road, and picks him up. While he and the hitchhiker travel forth, he begins discussing the weird coincidences between real life and his manuscript, about how Alice had disappeared, and how the main character had picked up a hitchhiker, who had gotten killed soon after. The pair come across a wrecked car and what seems like an unconscious person next to it. Alan steps out of the car to investigate, but a 16-wheeler smashes into his car, seemingly killing the hitchhiker inside. Alan looks back at the body on the road, who now looks exactly like Alan. The world goes black. Alan wakes up on a road leading to the bird leg cabin, holding a gun and a flashlight. He heads towards the cabin, but the camera switches perspectives to show something nearing. The demo ends with Alan coming face-to-face with a Taken hitchhiker on the rope bridge. The mission never survived into the final game, but it showed many ideas that still appeared in the final game. 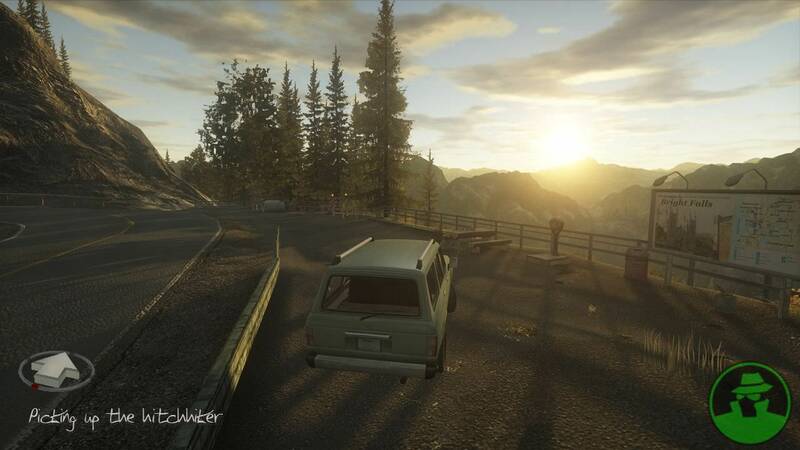 The idea of a hitchhiker killed in a car accident coming back is reflected in the game’s intro. 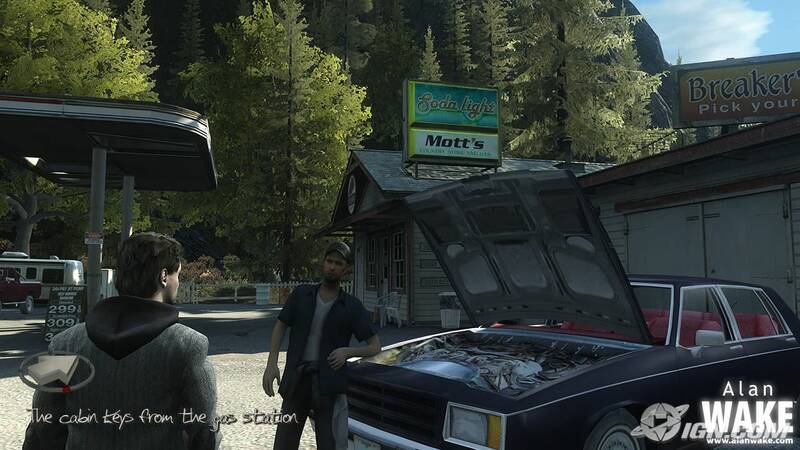 The gas station, owned by Carl Stucky in the final game, appears in Episode 1. He also attempts to give Alan they keys to his cabin, but Barbara Jagger gets to give the keys first. More details of the even have continued the seep into public over the years since X06 and the game’s release, but at the time, information was very rare. A trailer was planned and even finished, but ultimately left unreleased. It only surfaced 4 years later, at launch as an extra on the Collector’s Edition. All the fans got at the time were about 5 seconds of in-game footage on a sizzle reel, and a few cryptic screenshots. Hopes were high for more information. This did not come. The following two years were met with complete silence from Remedy. Information on the outside was scarce, and everything seemed to slow down, but the development was all but doing that. Internally, the company was busy building the game, and getting out of preproduction stages. The Alan Wake Illuminated book details how Remedy spent almost two years experimenting with story missions and pacing in an open world environment, from October 2006 to October 2008. The book showcases many missions and early story ideas on how the game would’ve progressed and played out. While none of the missions or chapters made it into the final game, echoes of them can still be seen in the final game, such as with a sequence where Alan and Mott have to fight off Taken, with Alan only possessing a flashlight, while Mott has a firearm. This sequence would then later be repurposed for Episode 2 on the final game, where Alan and Mott fend off hordes of Taken on Lover’s Peak. Many of the scenes are still shrouded in mystery, and I personally hope Remedy will one day show off these cut sequences, alongside the unseen X06 demo, like they did with the Alan Wake 2 prototype. Additionally, somewhere around mid-2008, the developers started to experiment with more linear levels. Shown in the book are a level taking place on a runaway train, and a mission called “The frying pan”. Both show aspects of the final game with how the stages are structured, as inescapable corridors with a linear sequence of scripted events driving the player forwards. Possibly as a result of these missions, a decision was made to transition the game from the open world format to a more linear corridor shooter -like game. In October 2008, Remedy released a new trailer. It was a first glimpse into the finished game’s structure, and the most information there had been released in over 2 years. Examining the X06 demo and this trailer leads to an interesting discovery: While the story idea has mostly stayed the same over the years, Alan Wake once had a very different narrative. 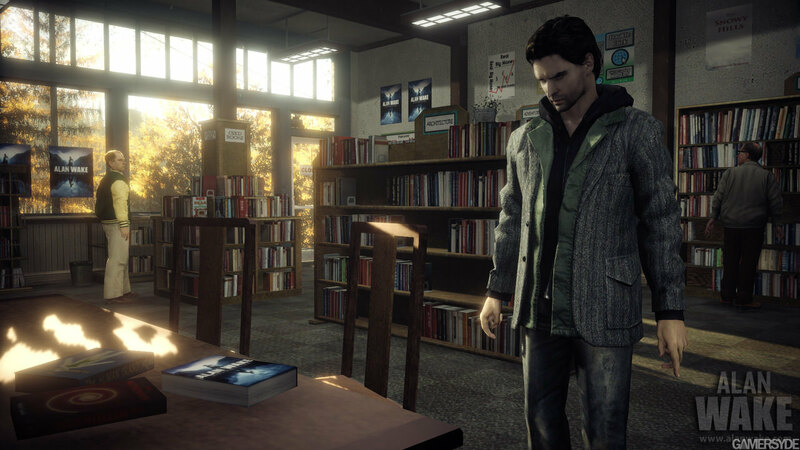 The game originally starred Alan Wake, whose wife had gone missing some time before the game’s beginning, mysteriously mirroring a manuscript he had written before. He arrives to Bright Falls as an insomniac and he is just seeking to rest for a bit and recover from Alice’s loss. However, his time in Bright Falls leads to other aspects of his story to become real. The forces of darkness itself are coming to life, and trying to take over the world. While the story beats of Alice disappearing, Alan’s story coming to life and the forces of darkness attacking the world are still in the final game, the pacing of the final story is way different, and the relation of Bright Falls to the story becoming real is much more important. The earlier version hinted at a story which would be less fantastical, and more composed of an adult fear: losing a loved one. The trailer itself details multiple story ideas removed later. Rose has a blue outfit and a southern accent, the diner is called “Three D Diner” and Alan arrives alone to it, mirroring the early story. It also showcases an early version of the Episode 2 cabin cutscene set at day, later on seen again at E3 2009 at night, before the cabin’s location was moved and the final cutscene was done. "The amount of pages keeps growing each night. There are also new edits on the old pages. They keep getting more aggressive. The story is rewriting itself. The protagonist is now my namesake, and his wife is called Alice. The most worrying aspect: the genre seems to be shifting. It's turning into a horror story. I can no longer be certain whether the hero can succeed or even survive. Apart for jumbled fragments of bad dreams and an oppressive feeling, I can remember nothing of the process when I wake up. But this morning, a breakthrough! When I came to my senses, I could smell her perfume on my shirt. I am close. I know it. I must push on." "Rusty's screams were still ringing in my ears. The tree stump the grove got its name from looked like a severed leg of a monsterous bird. I prayed that the gun would make a difference. Every time I moved the flashlight, I was afraid of the horrors it might reveal. Suddenly a ragged arrow gloved in the light. I followed it." These excerpts detail an early version of Episode 2, named “Midnight in Bird Leg Grove” by the Alan Wake Illuminated book. While several aspects of it survived to the final Episode 2, such as Rusty’s death at the Elderwood visitor centre, the final episode still differs greatly. Most notably, Bird Leg Grove was renamed to Elderwood National Park. 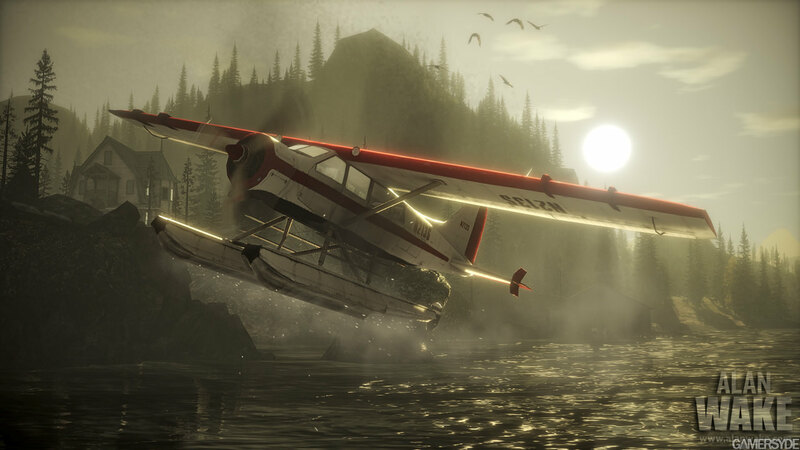 In addition, the trailer and a screenshot both showcase an unused episode, involving a tour with a seaplane. Despite all of that, the trailer meant a thrilling victory for Remedy – after years of experimentation, the game was finally under production and the story itself was shaping up. Next up on the timeline was E3 2009. Seemingly the strangest public showcase over the years – it shows a strange amalgamation of both the old storyline and the new storyline. The demo itself sees Alan meet Rusty in efforts of recovering manuscript pages, the plot to the original Episode 2, “Midnight in Bird Leg Grove”. The cutscene preceding the demo mission, however, sees Alan and Barry discussing Alice’s disappearance and meeting the kidnapper, the final game’s plot to Episode 2. The mission itself is unlike anything in the final game as well. Rather than Rusty being turned into a Taken, he gets dragged along by the Dark Presence, through the visitor centre, over the river nearby and into the logging site and finally Stucky’s gas station. Rusty collapses at the gas station after telling Alan the location of the manuscript pages. Alan sets off toward the lighthouse only seen in intro dream sequence in the final game. The landscape in the demo doesn’t match the maps created for either the final game or early prototypes, so it’s quite possible that the demo was just a collection of ideas, meant to portray the scenes one could find in the finished production. We may never know the truth. 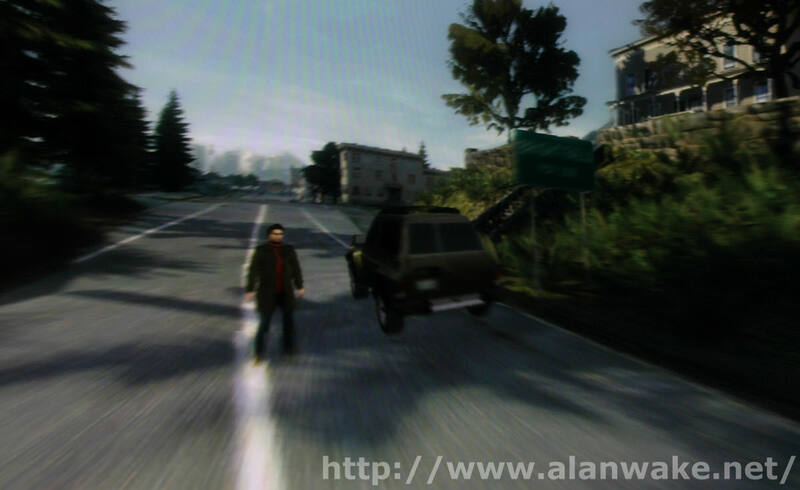 Just three months later, Remedy showed Alan Wake again at TGS 2009, this time with the escape from police sequence from Episode 3. At this point the story and the levels themselves had been finished, and the changes leading up to launch are just minor aesthetic differences. 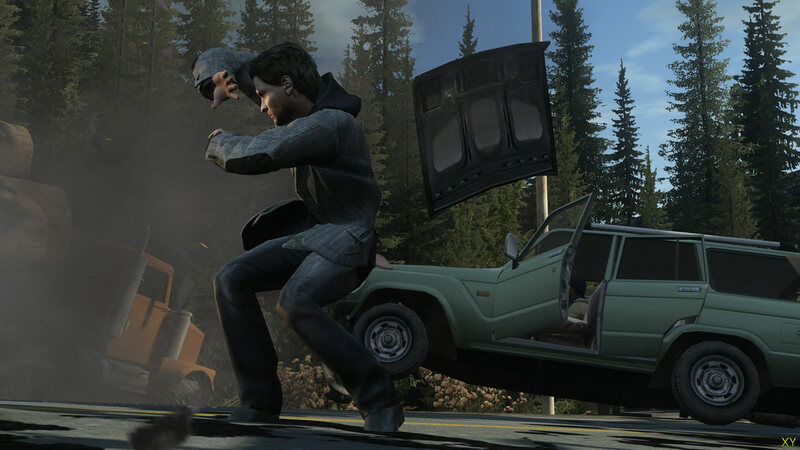 Alan Wake launched on May 18th, 2010. It released on the same day as Rockstar’s Red Dead Redemption, which probably hindered sales significantly. As a result, the game never really performed according to sales expectations. It’s been selling slowly over the years since the release, and it could be considered a cult classic by now. The sales have never been enough for Remedy to work on a sequel, but there is will to make one. I really hope we’ll see that one day. It’s now been almost 9 years, however, and it’s highly unlikely that it will ever happen. A part of the reason I wrote this massive text is so that, well, I’d like to actually do something with this massive amount of collected useless info I have, but also to open up the curtains to behind the development. Remedy showcased the Alan Wake 2 demo back in 2015 (3 years ago, and the beginnings of this document were already in place back then). The early iterations of Alan Wake don’t have much in common with the final game, so I’d like to one day see the early ideas in motion. But that’s really just a wish, and so is the wish to see AW2 one day, both equally unlikely. I guess I’m just feeling really down currently. Thank you for this. It was a good read. A good read indeed! Alan Wake Illuminated really is the go-to source if you want to know about the making of the game, I enjoyed reading that one too. May 18th 2010, I will never forget this and the following days. But the future remains dark.